The Free Library of Philadelphia is excited to expand our Sunday Literacy program, now at eleven of our neighborhood libraries! This program offers drop-in assistance to students struggling to read in 1st through 3rd grades. Continuing throughout the rest of this school year, each library hosting a Sunday Literacy program will have two sessions for students. Each session will be run by a teacher and will include the following elements: Read Aloud, Independent Reading, Literacy Games, and Writing. "Learning to read well is the keystone of all future learning," said Siobhan A. Reardon, Free Library President and Director. 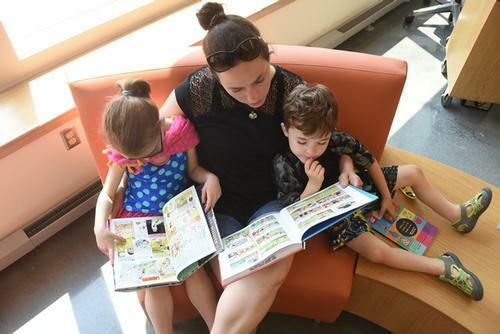 "Extra reading support on Sundays with a certified teacher in eleven of our libraries is a tremendous new offering available to students and their families. We are thrilled to be advancing literacy with our youngest readers." We've Expanded Our Sunday Literacy Program!